Never be too far from your favorite game with this key chain close at hand! Consisting of a faux leather strap with brass hardware, emblems are stamped on the brass tokens. 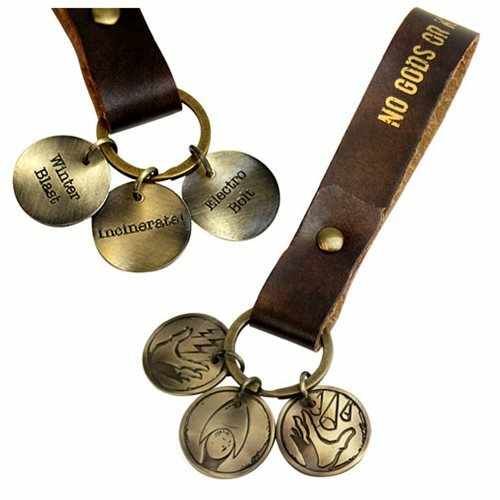 The BioShock Rapture Plasmids/Brass Tokens Key Chain measures approximately 4-inches long. Ages 17 and up.